November 8, 2018 Associate Professor Cholawish Chanlalit, M.D. 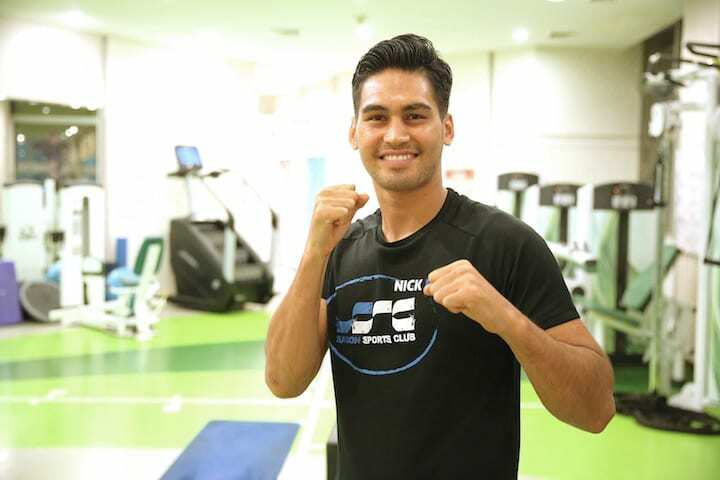 Having started out as a promising football player with the world-famous Ajax Academy in the Netherlands, Nick Frese switched sports to boxing and became WBC Asia Welterweight Champion. However, his burgeoning career was put on hold temporarily when he sustained a painful elbow injury during training. After visiting a number of hospitals without finding a suitable treatment plan, Nick was recommended to try Samitivej. Now, thanks to the treatment and care he has received, he is fighting fit again. Here Nick explains in his own words. I got an elbow injury from training, but I didn’t know that it was such a big problem at first. Because I’m a boxer, I could feel that I couldn’t use my arm normally, like a boxer needs to. Every time I started using my arm in training, the arm would get swollen and it would be very painful. I went to a few other hospitals before I came here. I had so much pain that I decided I should get an MRI scan to find out what the problem was. From the MRI scan, I could see that there was a piece of bone floating around in the area near my elbow. I went on to a few hospitals to look at getting it removed through surgery. Then when I was still looking for a good hospital, my manager’s friend told me about an elbow specialist, an orthopedist who was good at treating elbow injuries, and he recommended that I come to Samitivej Hospital. At the other hospitals I went to, they explained in their diagnosis from the MRI results that I would need a suture anchor, which is quite major compared to what I had to do at Samitivej Hospital and very unnecessary. It looked to me like the main reason that they wanted to do that surgery was for other purposes than to really help me. Then I found that at Samitivej Hospital, from the diagnosis, I could tell that this hospital really wanted to help me and finally get me back to boxing again. The first time I came here, I brought my MRI results from another hospital. The doctor here examined my elbow. He did a few exercises with my arm, which they didn’t do at the other hospitals that I went to. Based on the MRI scan and the tests he did, the doctor here could see that the bone floating around was a big problem. He sent me for another MRI scan, just to be sure, because the MRI that I did at the other hospital wasn’t very clear. So I did the new MRI and then from the results, you could see that the area around the elbow was very irritated, and the piece of bone was floating around. So from that, the doctor and I decided that I would have the MIS surgery and we talked about a surgery date. We planned that together. I was very confident how the doctor made me feel about the surgery. I thought that it was the right diagnosis and that he wanted to take the right action based on his diagnosis. Because I wanted to solve the problem as soon as possible, we planned the surgery for the week after I came to visit the doctor for the first time. That’s how I came to have surgery at Samitivej. After the surgery, I woke up. Of course, I was in a lot of pain, but the care was great. I got all the help I needed. I stayed one night in Samitivej Hospital, which is, of course, a very luxury hospital and very comfortable, especially after surgery. I got all the help I needed from the nurses and the doctor. And already after one day, after one night staying at the hospital, I could go back home. And the after care plan was first to take away the inflammation, and I got medication for that, because my arm was swollen a lot. And I came back several times for follow-ups. After the first follow-up appointment, I was shown some rehab exercises to do at home. So far my arm’s getting better and the rehab exercises are getting easier. I recommend anybody with a similar injury to come to Samitivej. I’m an athlete myself so, of course, with the way I have been treated, I can recommend athletes to come here, but also regular people who need to see the orthopedist. The way I’ve been taken care of and the way I’ve been helped and assisted, whenever I needed anything, has been great. For example, I was in pain after surgery and I contacted the doctor to see if I could come and see him again, and the same day, I was able to come and visit the doctor. So for good, successful surgery and good assistance, I really recommend Samitivej, for athletes and for normal people as well.